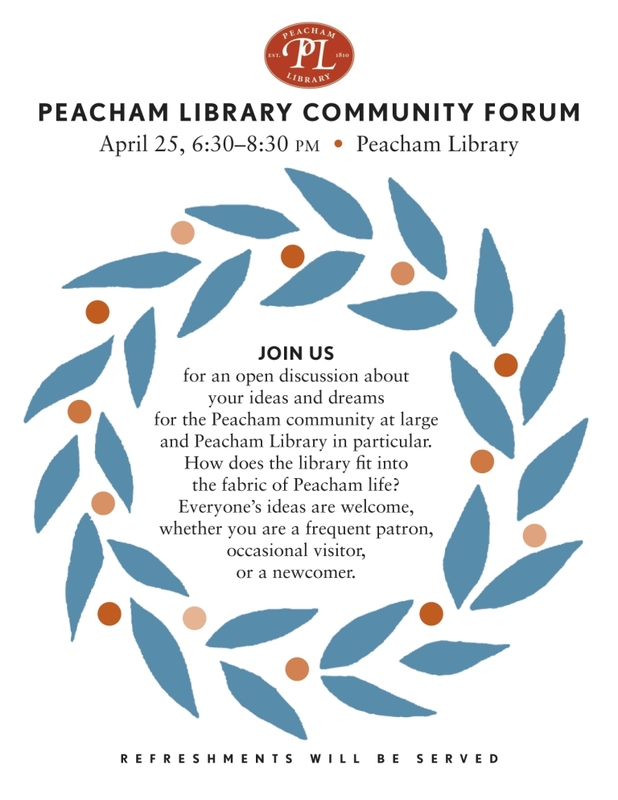 April 25, 6:30pm, Community Forum – Join us for an open discussion about your ideas and dreams for the Peacham community at large and Peacham Library in particular. How does the library fit into the fabric of Peacham life? Everyone’s ideas are welcome, whether you are a frequent patron, occasional visitor, a newcomer, or have never stepped foot in the library. April 26, 9am, Preschool Story Time – a change for April and May, with story time on the 2nd and 4th Fridays, just before Coffee Hour. Stories, maybe a song, and always a craft, for children of all ages. April 26, 10 am – noon, Coffee Hour – join us for a cup of coffee or tea, a sweet or two and good conversation. Suitable for all ages! 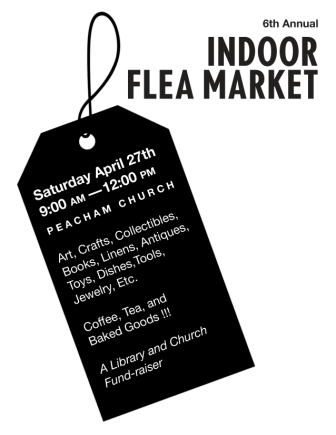 April 27, 9am – noon, FLEA MARKET, support Friends of Peacham Library at the Flea Market at the Congregational Church. May 3, 10 am – noon, Coffee Hour – join us for a cup of coffee or tea, a sweet or two and good conversation. Suitable for all ages! We have lots of new books in the Juvenile section, including all the 2013 – 2014 DCF books. And there are new DVDs in both sections. Stop by today to check out the selection.